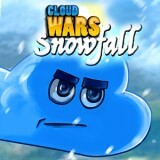 In this game you are going to control different clouds. Just use the mouse to make other cloud the same as you and get a lot of points here. Well, are you ready for that? Then do not waste your precious time and start the game. Have fun!